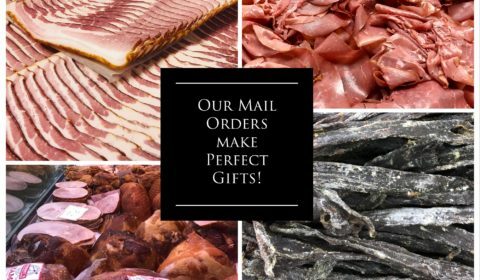 Our family-owned business has been satisfying customers since 1957, with a fine variety of Fresh Beef, Local Pork, Fresh Poultry, Sausages, and OUR Signature Hams and Bacon, along with many other local favorites. With 3 locations to serve you! HAMS – Our hams are wood smoked and sugar cured with NO water added. This process gives our hams a flavor and texture you can not get with a “Grocery Store” product. THE CORNER STONE OF OUR BUSINESS. FRESH PORK – We use all locally raised hogs that we cut fresh daily, featuring our famous STUFFED PORK CHOPS. Try our own homemade fresh SAUSAGE! It’s deeelicious! FRESH POULTRY – Daily deliveries ensure our customers the freshest product available. 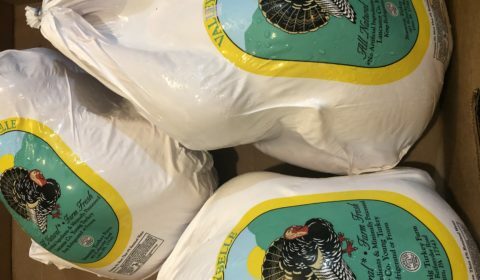 All-natural CHICKEN and locally raised fresh TURKEYS, DUCKS, and CAPONS highlight our poultry line. FRESH PRODUCE – Our produce suppliers deliver fresh daily from the Philly and Baltimore produce markets. Locally grown fruits and veggies (including sweet corn, available in season.) The best kept secret in Mount Joy! BACON – Our hand trimmed, slow cured natural wood smoked bacon is extra lean and bursting with smokey flavor. Extra time in the smokehouse means less shrinkage in the pan. FRESH BEEF – We use all USDA choice and select cuts of western beef. Our GROUND BEEF is ground multiple times a day from whole muscle cuts – never pre-ground tubes. BEEF PATTIES are our specialty! FRIED CHICKEN – The freshest chicken and our custom blended breading combine to make our FRIED CHICKEN second to none. Quickly becoming a Mount Joy tradition!